ProdPad is product management software. It’s designed to help product managers plan, prioritize, and make product decisions as a team. This two-way integration enables you to send product specs completed in ProdPad to development in Pivotal Tracker—and continue tracking progress in ProdPad. 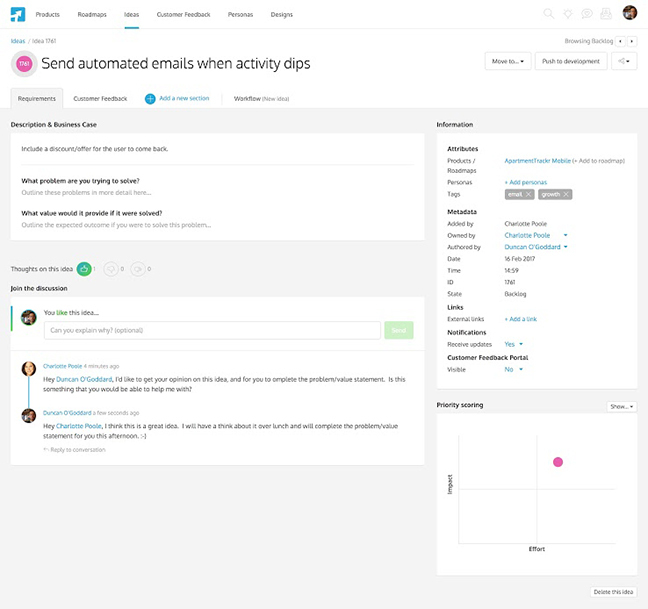 Together, Pivotal Tracker and ProdPad help you get your plans through development faster and communicate what’s coming down the pipeline to the rest of your organization. 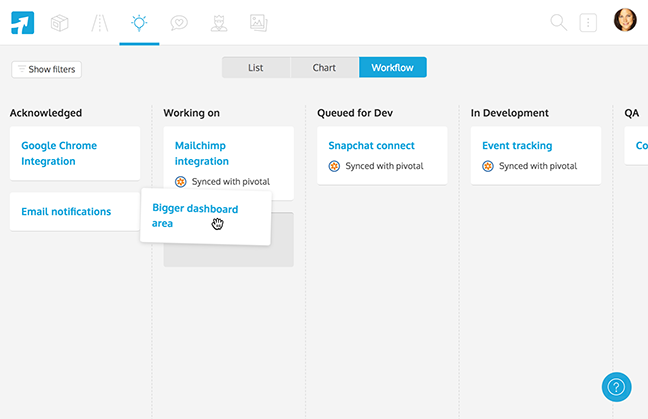 Use ProdPad’s Workflows to grant your entire company access to your product development workflow. This enables everyone to check in on the progress of ideas they’ve submitted as well as monitor the progress of ideas moving through each stage of development in Pivotal Tracker. ProdPad’s Ideas enable you collect multiple sources of information related to a product spec, including research, feedback, and team discussions, in one place. You can choose what to push to Pivotal Tracker when the spec is finalized: description, user personas, user stories, designs and mockups, customer feedback, and impact/effort. 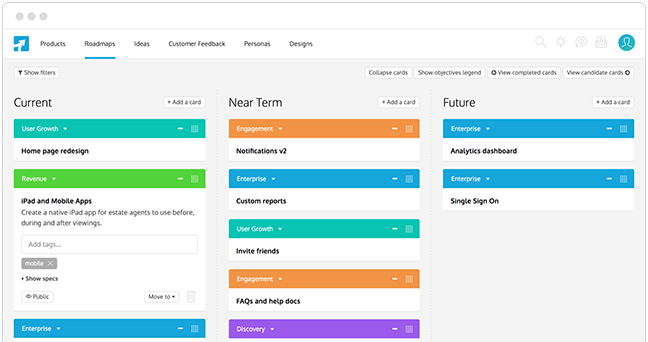 Use ProdPad’s product roadmap tool to help you communicate your product strategy across your organization.